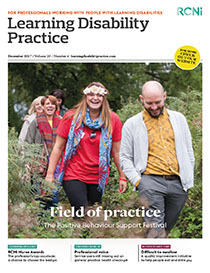 This article explores the benefits of a multidisciplinary team in a learning disability service employing a Commissioning for Quality and Innovation (CQUIN) pathway to address eating and drinking issues in people with learning disabilities. This pathway was audited and refined to improve care for those who were identified as being at risk of choking or aspiration. The team used the CQUIN to launch different ways of working and showcase the project to stakeholders. The team found there were benefits for commissioners, clinicians and people with learning disabilities. The case study of a patient, who shared his experience of having an eating and drinking difficulty, demonstrated that interventions to minimise eating and drinking risks helped to reduce hospital admissions.